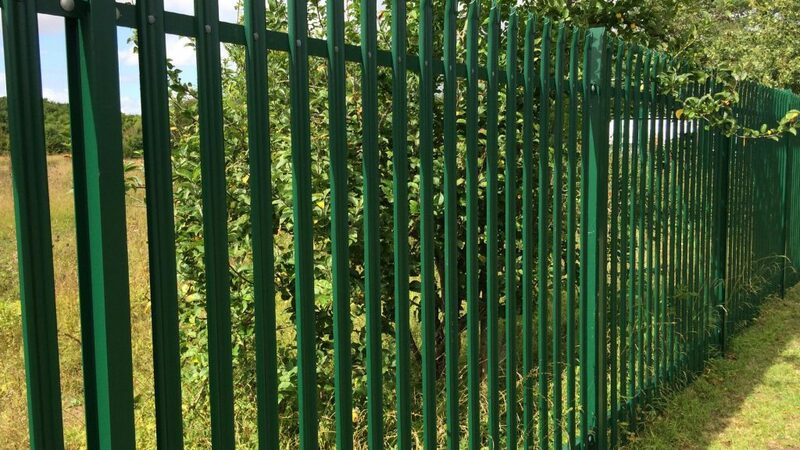 Steel Palisade fencing – a strong and durable construction providing excellent protection against climbing and cut-through. Supplied galvanised only or galvanised and powder coated to any RAL colour. Can be single pointed, triple pointed, square tops, rounded & notched tops or rounded only. Panels can be easily raked to allow for most site conditions. 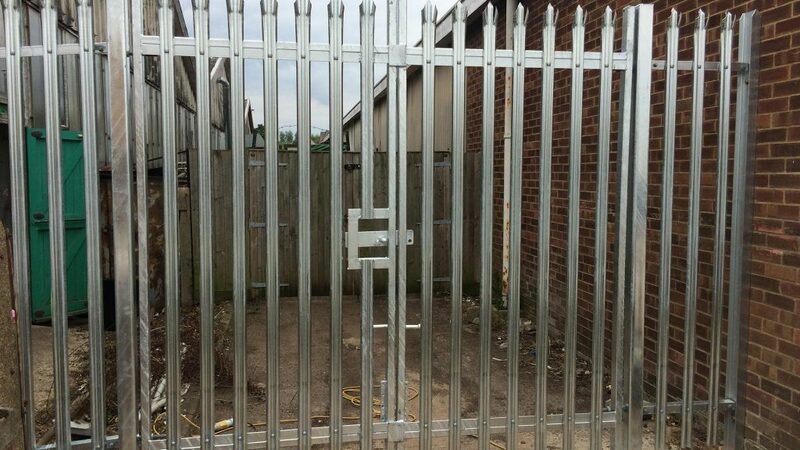 Hemel Fencing supply additional toppings for security fences including razor wire coils, razor wire tape, barbed wire, rotating spikes. We can also prepare fence posts to take electric security fence on the back.